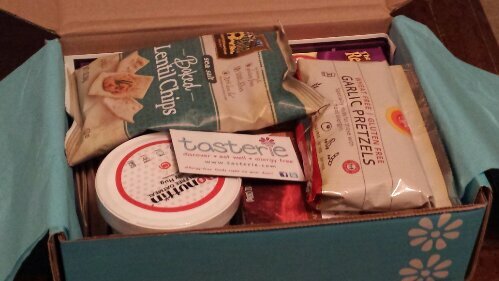 This is my first ever Tasterie Box, a gluten-free snack and food box! I actually won it in a giveaway hosted by Mamabelly’s Lunches with Love and so I thought I might as well review it! Here’s the first look! 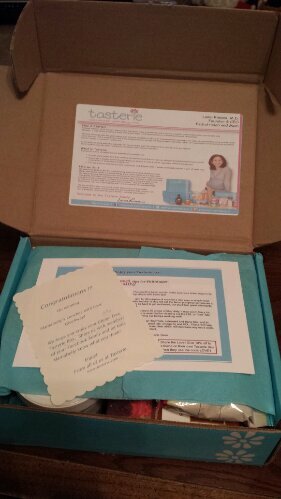 Tasterie Boxes run at $25 per box/per month, and come in the options of Gluten-Allergy, Gluten & Dairy Allergy, Nut Allergy and Top 8 Allergy. You will find approximately 5-6 healthy and safe foods from on-the-go snacks to meal helpers. 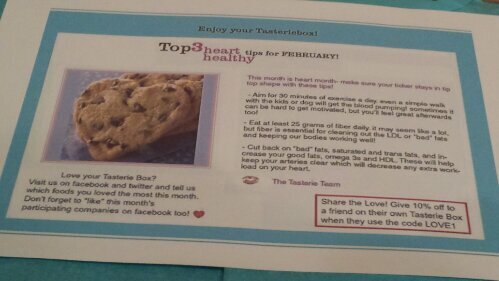 I really liked the healthy helper tips included, and the recognition of February being heart-healthy awareness month! 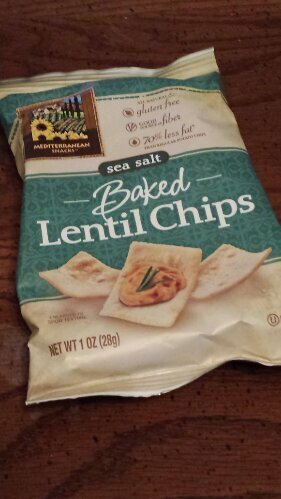 First, we have Mediterranean Snacks Baked Lentil Chips in Sea Salt. I’ve actually tried these chips before, as the company makes hummus-chip packs and they have come in the to-go snack sets. They are a different texture from regular chips, but still delicious! 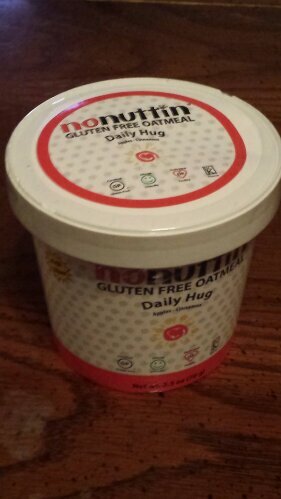 Next, we have No Nuttin’ Gluten-Free Oatmeal in Apple Cinnamon. I love oatmeal and apple-cinnamon flavor, so these were a win-win. 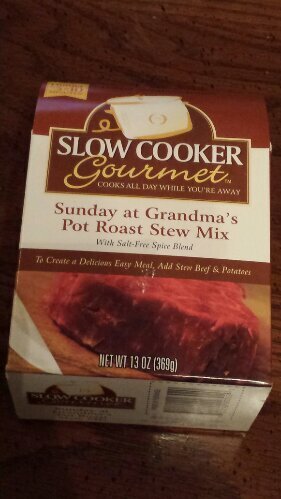 I also love the little container, as it would be perfect to take to work, add water or milk and heat up in the microwave! 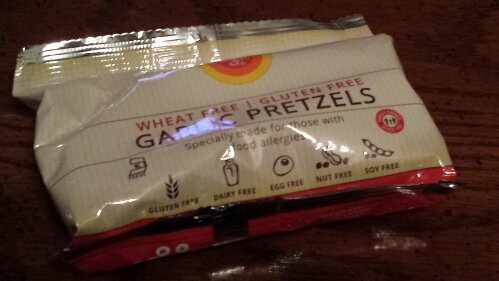 Here we have a snack-sized package of Ener-G wheat and gluten-free Garlic Pretzels. I seriously could put garlic on anything I cook/snack on (well, except like fruit and yogurt, let’s be reasonable) such as pizza, veggies, meat and more! Definitely a fan of this unique snack! The same brand and flavor as the oatmeal, we have a No Nuttin’ Granola Bar in Apple Cinnamon. I couldn’t find too much information on them, but they sound pretty decent for a quick snack or breakfast on-the-go. 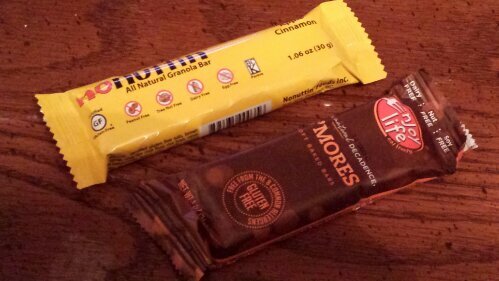 Next we have an Enjoy Life S’mores Bar, which is considered a ‘decadent’ bar by the brand, who also makes granola bars and various other products. Definitely delicious! I would love to try their other flavors like Cinnamon Bun or their soft-baked Double Chocolate Chip Cookies! Individual hot chocolate packets!? Why, yes, I would love some! 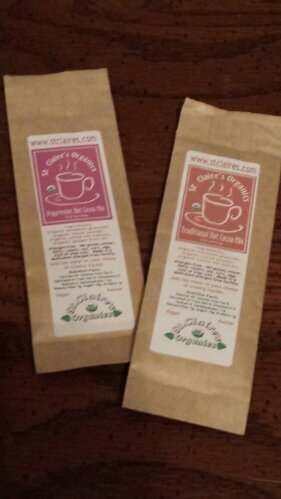 These St. Claires Hot Cocoa Packets came in two flavors: peppermint and traditional. These are perfect when you want a quick cup either at home or at work. 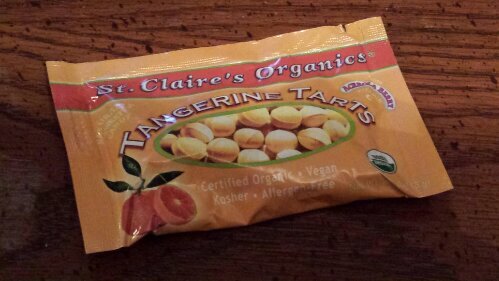 Also, while we’re talking about St. Claires, they included these Tangerine Tarts, an organic, sour hard candy in a pocket/purse-sized pouch! 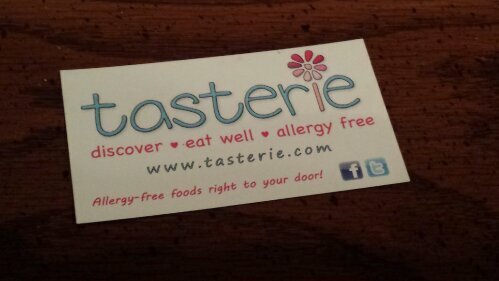 Oh hey, a Tasterie Magnet too! Here are the entire contents of the box! 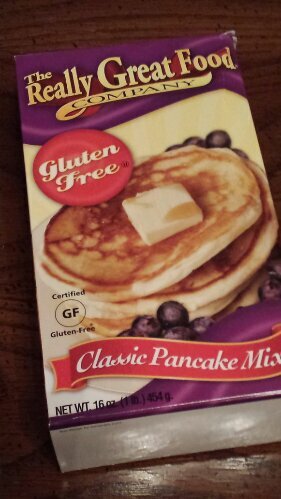 I was really happy with my first ever Tasterie Gluten-Free Box, and even though I don’t have any wheat/gluten allergies, the items were delicious. I liked that it included 10 items (incl. duplicates) by many different brands and had items such as oatmeal for breakfast, chips and snack bars for on-the-go and a beef stew dinner helper! All in all, big thumbs up! What do you think about Tasterie? 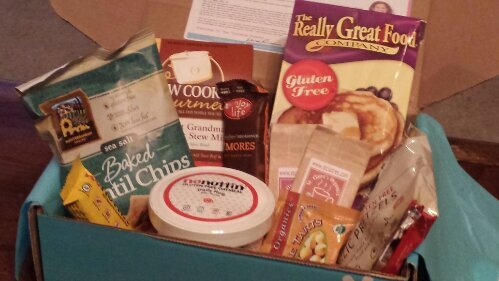 Sign up for your own allergy-free box here!